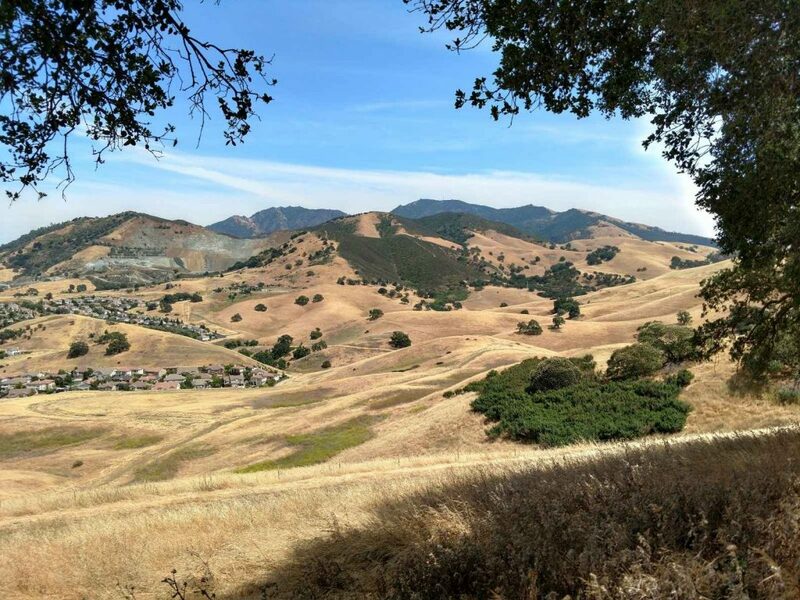 This is a new-to-me East Bay hike which has great views of Mt Diablo and the surrounding valleys. Its a relatively easy 5 mile hike which takes about 1/2 a day. 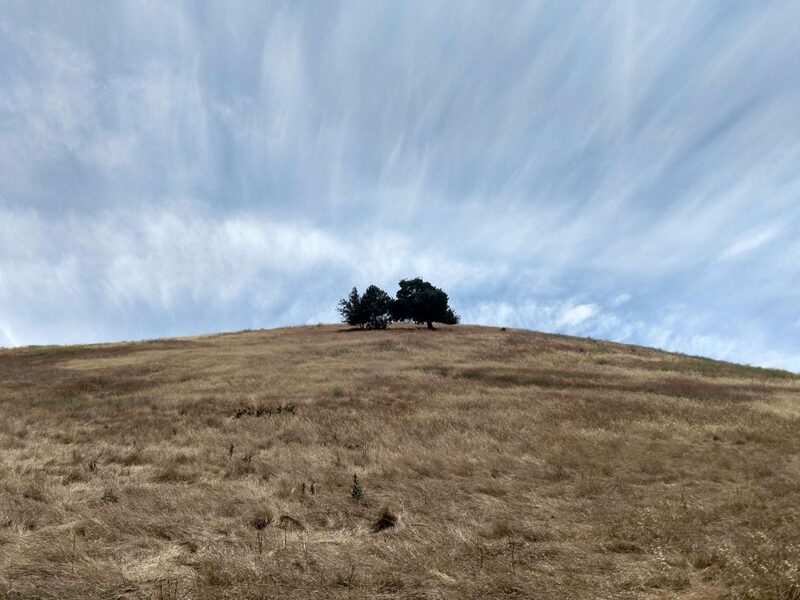 In an effort to add variability to what we typically do on the Peninsula, I'm exploring some East Bay hikes. I was intrigued by a recent visit to Concord for a Brew Festival. Although that trip didn't include anything outdoorsy, it gave us plenty of reasons to come back. That's when the idea of "Hike-then-Brewery" came to be! Our plan: find a 1/2 day hike near to Epidemic Ales then hit em up after! The Parking area at the end of Valley Vista Road, across from Boundary Oak Golf Course serves as an excellent jumping off point for exploring Lime Ridge. There are dozens of loop hike options here. We picked up a complementary map of the area at the trailhead and set off. We started up the Ohlone Trail which connected with the Paraiso Trail after about 0.25 miles. It was steep and unshaded so I'm glad we brought a ton of water. From here, the Paraiso Trail takes a fairly direct assault up Lime Ridge, gaining about 450 feet of altitude in 0.6 miles. Thankfully, we conquered most of the elevation early on. As we ascended, the views become phenomenal. The Paraiso trial intersects with the Manzanita Trail at Lime Ridge. By turning Northwest (left) we continued along the main spine. there were a few more up-and-downs but most of the elevation gain was behind us. Although the Manzanita trail is the most straightforward route along the ridgeline, we chose to deviate on the Lime Ridge Trail which was far more shaded. At an altitude of about 1,000ft, we reached a confusion six way intersection. Though not terribly well marked, this intersection allows a shortening of the loop. The wide, well graded trail headed West (to the left if coming off of the Lime Ridge Trail) wraps back around to the Ohlone trail and then parking area (2.85 miles total). If we went straight, we would have topped out on Lime Ridge then taken the trail down the Blue Oak Trail back to the Ohlone Trail (4 miles total). We went for the full 5 mile loop by taking the Paradise Valley trail which heads North by Northwest from the six way intersection (second right). 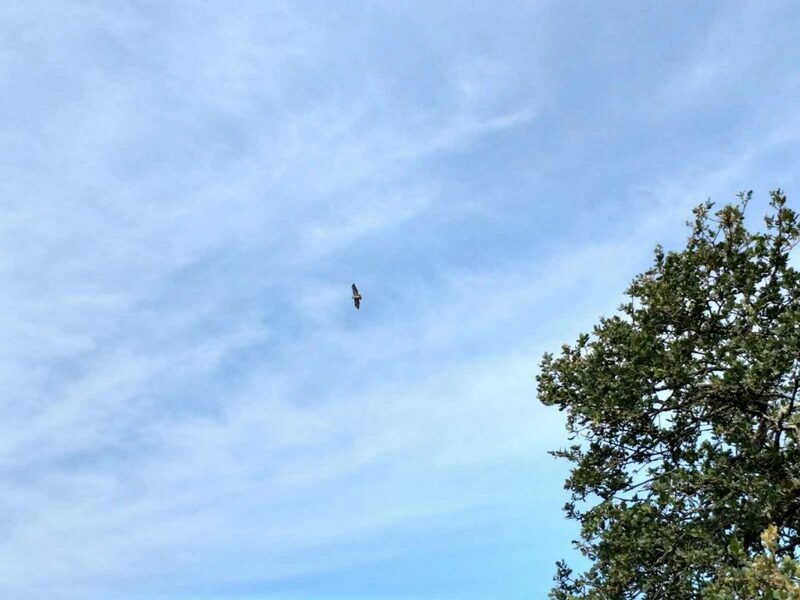 I'm so glad we did because we came across a hunting Red Tail hawk who managed to catch a snake, then feed it to her chicks! Man I wish I had a telephoto lens! Even with a naked eye, that was a tremendous sight. At the second four way intersection, we continued on the blue Oak Trail another 0.3 miles. We found an odd, unmarked site on the way; the Contra Costa County Police Department firing range. Though nobody was practicing on the day we visited, it was curiously devoid of any "no trespassing signs" when coming from the North. I'd suggest taking the Ohlone trail around it. 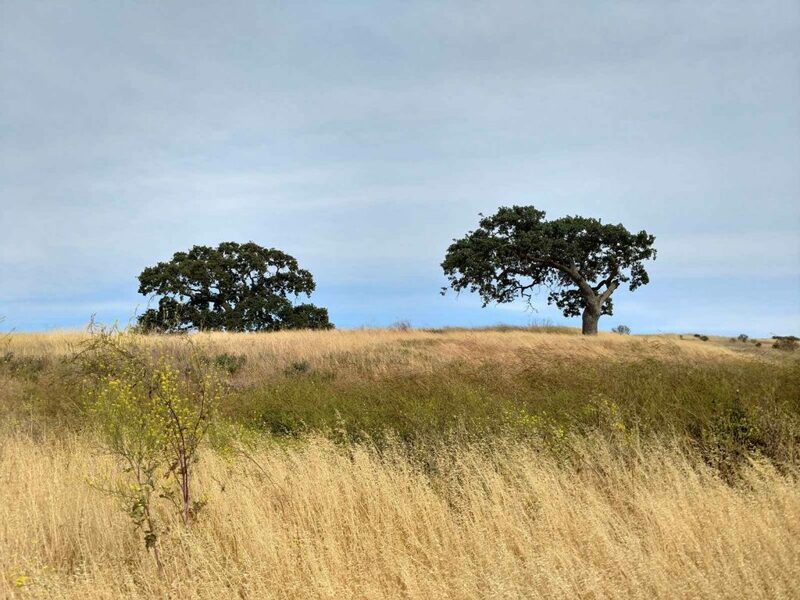 Overall, the hike back to the parking lot is relatively flat and runs through beautiful Oak Savannah characteristic of Northern California. Trails are generally well marked though I recommend a map in this section. We had no trouble finding our way back with good directions but I imagine its easy to get turned around. We wrapped up our hike with a visit to Epidemic Ales of Concord. 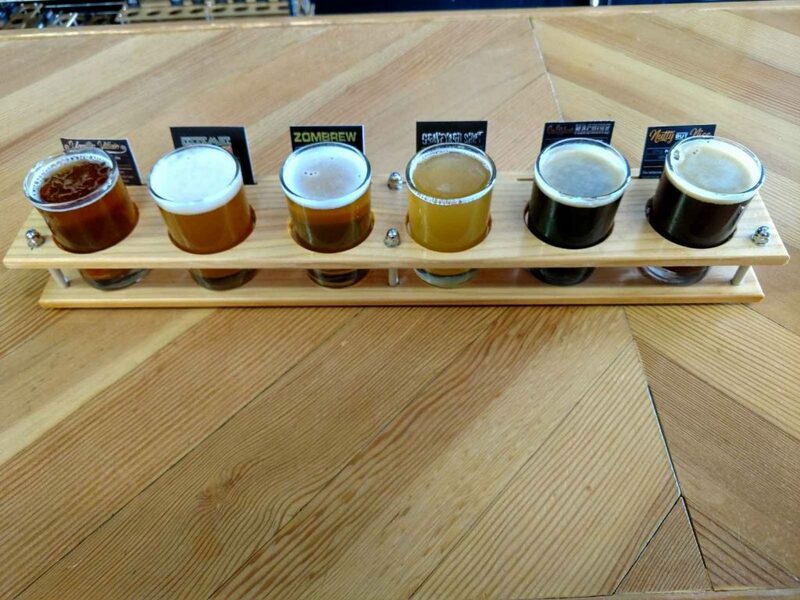 This is our favorite brewery in the area and has excellent high-IBU IPAs and my favorite stout, "Nutty but Nice". As the name suggests, it tastes like a reese's in beer form. Thank goodness there's good beer at the end of the trail!